In 1966 over 300 children and staff from a Melbourne school reportedly witnessed multiple UFOs silently flying through the sky before landing in a nearby field. It is the largest mass UFO sighting in Australia yet hardly anything was reported on it at the time. 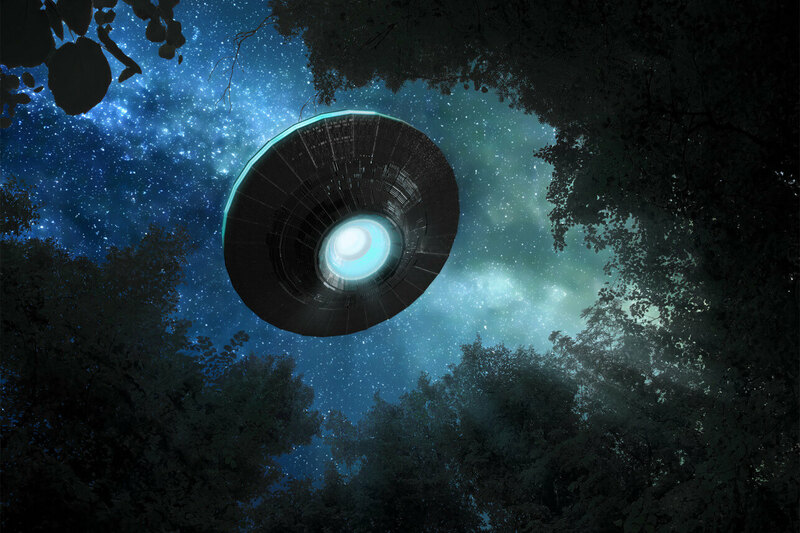 Over the years there have been differing reports about the exact details of what happened on April 6 at Westall High School, such as people claiming there were three saucer-like objects, while some thought there was just one. In the 52 years since the incident occurred, there has been worldwide speculation about what people saw, with some believing it was absolutely an alien encounter and others pointing the finger at the government testing new technology. Throughout all the years of speculation, there has been one particularly interesting piece of audio that’s been greatly overlooked. An American physicist known for his research into UFOs, Dr. James E. McDonald, conducted an interview with a science teacher from the Westall school, Andrew Greenwood, who witnessed the event. McDonald then recorded himself describing their meeting and the creepy details Greenwood gave about his experience. “Greenwood told me the UFO was first brought to his attention by a hysterical child who ran into his classroom and told him there’s a flying saucer outside,” McDonald says on the recording. When Greenwood went outside he noticed a group of children looking towards the northeast area of the school grounds and as he approached them he claims he saw a UFO hovering close to the powerline. Greenwood described it as a round, silver object about the size of a car with a metal rod sticking up in the air. According to McDonald, Greenwood then told him that five planes came and surrounded the object as more people began gathering to watch the scene before them. “He called it the most amazing flying he had ever seen in his life,” McDonald said. This game of cat and mouse reportedly went on for about 20 minutes and by this time Greenwood said 350 children and staff were watching on. Suddenly the UFO shot away and vanished within seconds and it was at this point that the headmaster came out and ordered everyone to go back to class. Over the years there were reports that the government tried to cover up the incident and stop witnesses from talking, but Greenwood claimed it was the headmaster that first tried to squash discussion of the incident. “He gave the school a lecture and told the children they would be severely punished if they talked about this matter and told the staff they could lose their jobs if they mentioned it at all,” McDonald said. The teacher claimed the headmaster was so “scared” and “disturbed” by the incident that he refused to come outside until the object was gone. “When the Royal Australian Airforce contacted the headmaster he told them to ‘go and jump in a lake,’” McDonald said. There have been claims from several witnesses that sharply dressed men in black suits visited them and warned them from speaking about the incident. This lines up with a few experiences Greenwood had when he tried to speak with other witnesses about what they saw. “At the time of seeing the UFO he was a complete skeptic himself. He has never even considered the possibility of their existence,” McDonald said. Greenwood then reportedly spoke to one of the older students who described the event in great detail exactly as he had seen it but when he spoke to her again half an hour later she wouldn’t say a word. Greenwood didn’t think it had anything to do with the headmaster’s threats as no one usually took him seriously and he knew for a fact that the student he spoke with didn’t attend the meeting where he made the threats. McDonald’s description of his interview with Greenwood offers a rare insight into the events from the eyes of someone who was an adult at the time. There continues to be speculation over what actually happened and the site of the encounter has been turned into a memorial park to reflect the 1966 Westall UFO incident.